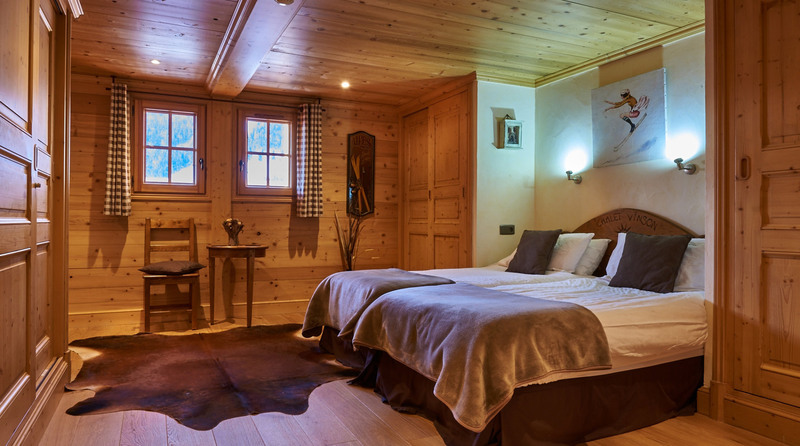 Chalet Vinson is fully equipped to provide guests with everything they need from self-catering accommodation, accompanied by modern, luxury furnishings and interior. 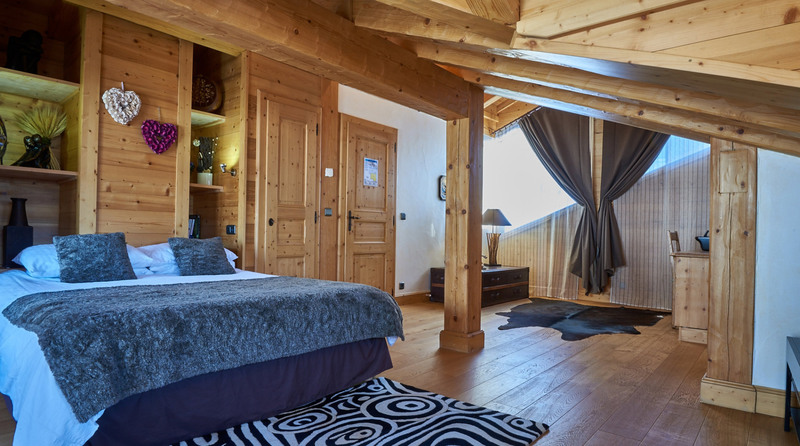 The design and structure of Chalet Vinson reflects the true wooden architecture and style of the village, offering visitors an authentic yet stylish chalet experience. 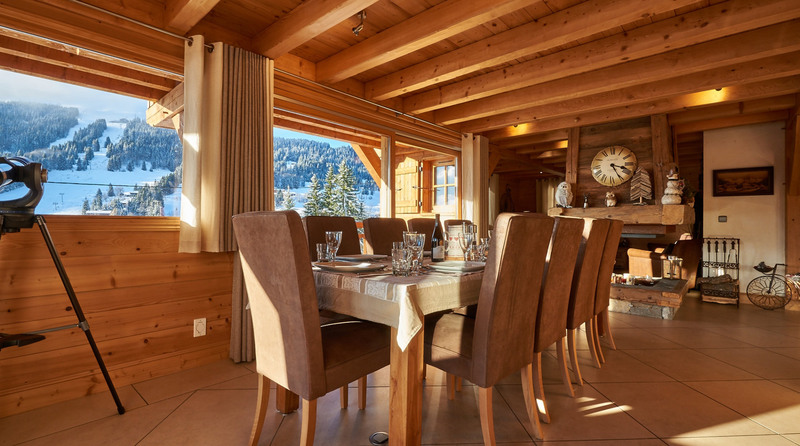 The lounge, dining and kitchen areas of the chalet extend the full width of the ground floor. The bright and airy dining area gives stunning views across Les Gets, following through to the large designer kitchen. The kitchen is designed specifically to cater for the requirements of a party up to 12 people, featuring modern Neff appliances including a five ring induction hob, two ovens, American fridge, coffee machine, microwave and dishwasher. The lounge sits at the opposite end of the ground floor, where guests can find a cosy yet spacious area for entertaining. A real log fire is located in the centre of the lounge, which warms the room in any temperature. A TV/games room with pool-table can be found downstairs, in addition to Playstation 3 games console. Satellite TV & Netflix is also available throughout the chalet. Large terrace and balcony areas provide guests with plenty of space for relaxing outdoors and enjoying the stunning scenery of the resort. 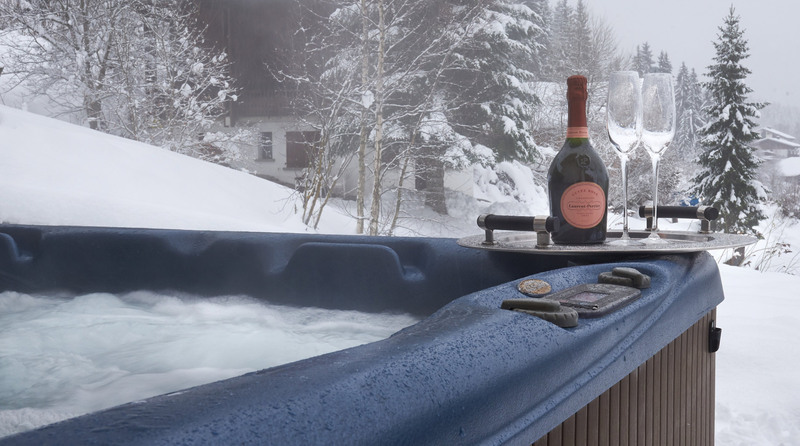 Comfortable outdoor furniture is provided, alongside an 8-person Hot-Tub to help all un-wind and get the most of your chalet experience in true style. 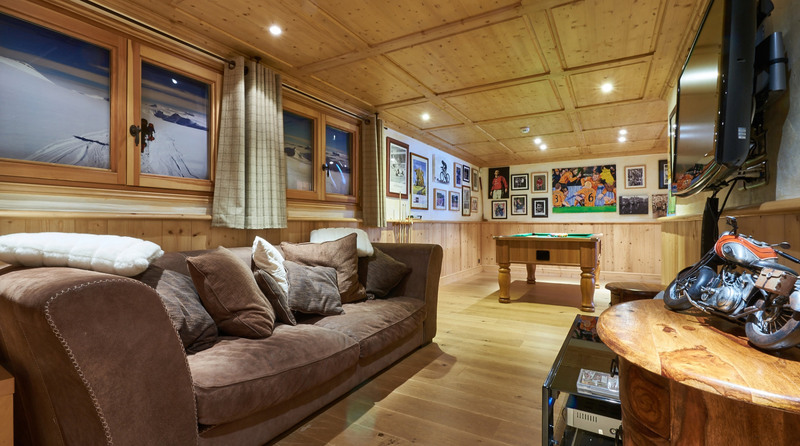 When entering the Chalet, there is a professional boot warmer and ski rack in the entrance area. Pets, outdoor shoes and smoking are not allowed in the chalet. This chalet is privately owned. 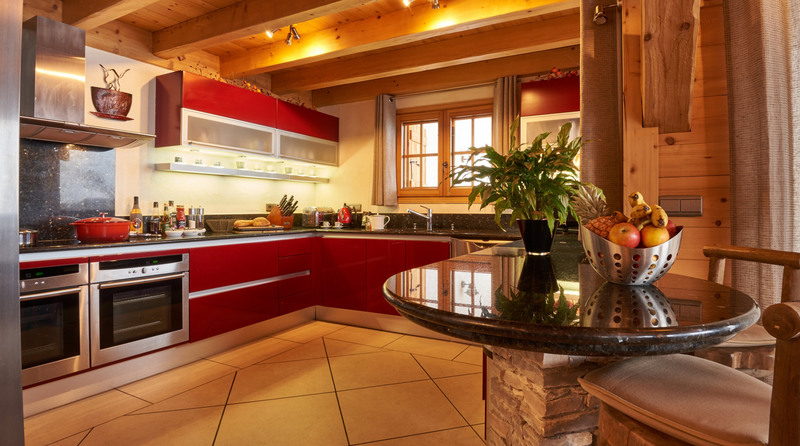 The chalet is located 500m up the Routes des Chavannes road, overlooking the town of Les Gets. 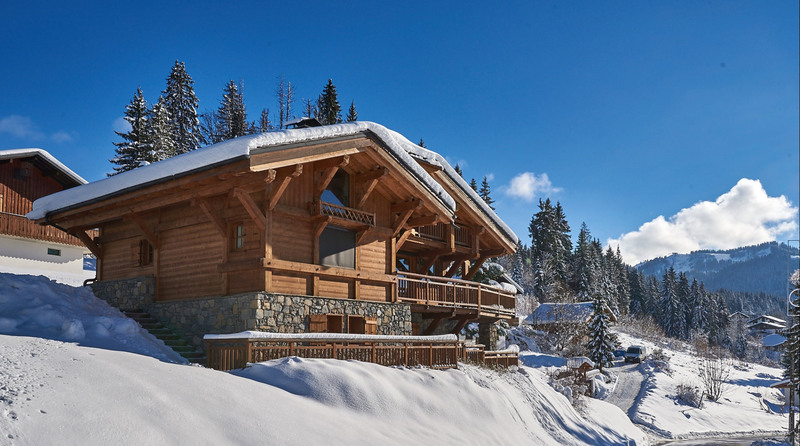 The Chalet itself is located within minutes from the ski lifts and shops that Les Gets has to offer. 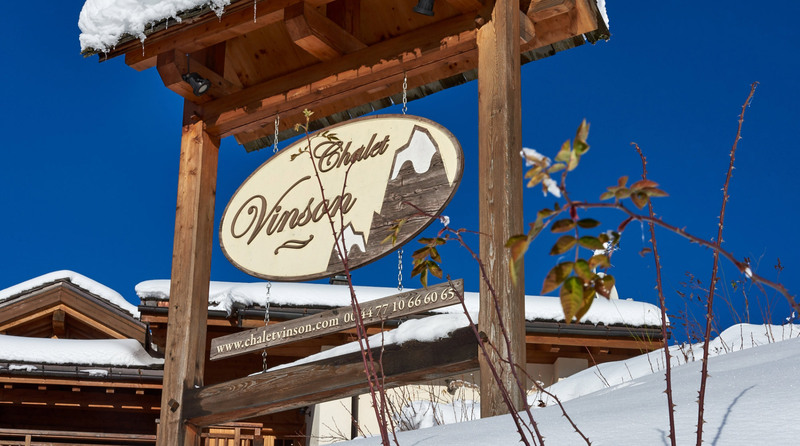 Chalet Vinson offers easy access to some of the best ski runs in Europe, with over 50 ski lifts across Les Gets and the surrounding areas. Les Gets itself is perfect for skiiers of all levels, with a range of blue (beginner) red (intermediate) and black (advanced) runs. The Portes du Soleil is the largest linked ski area in the world, providing you with over 650km of piste to conquer. 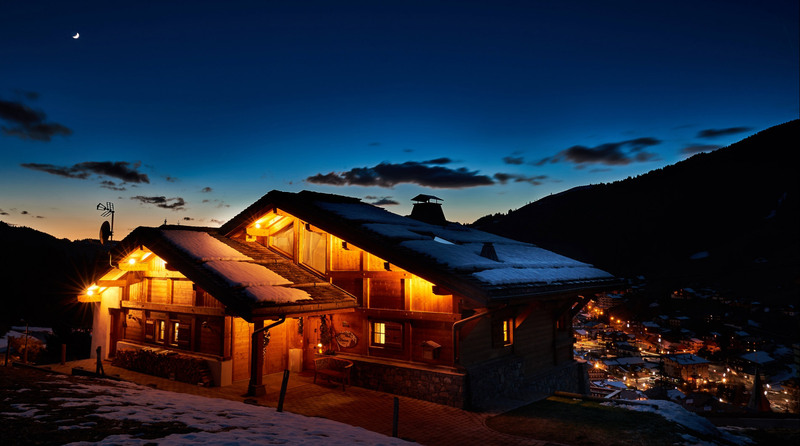 Les Gets is a popular and well sought-after ski resort, located in the stunning Portes du Soleil area of the French Alps. The resort dates back to the 11th century, and to-date boasts a traditional charm comprising of stone and wooden architecture throughout the town. Les Gets offers many visitor attractions and things to do, from the winter sports such as skiing and snowboarding, to museums and a good range of restaurants and bars. 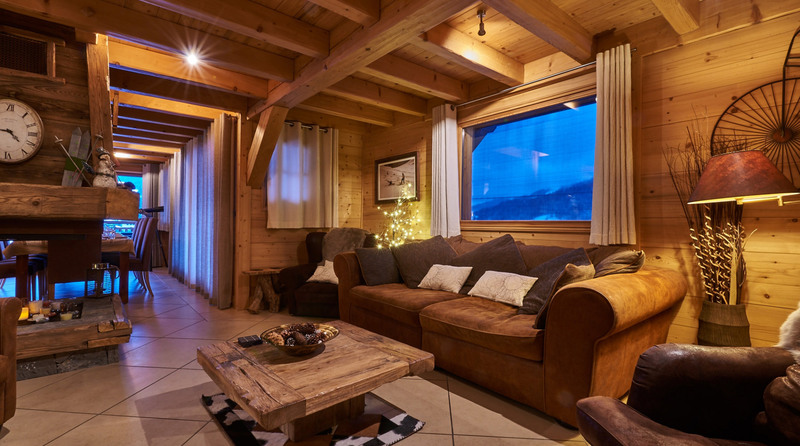 Chalet Vinson offers easy access to some of the best ski runs in Europe, with over 50 ski lifts across Les Gets and the surrounding areas (including Samoens and Morzine). Les Gets itself is perfect for skiiers of all levels, with a range of blue (beginner) red (intermediate) and black (advanced) runs. The Portes du Soleil is the largest linked ski area in the world, providing you with over 650km of piste to conquer. For snowboarders, Les Gets has a challenging snowboard park complete with banks rollers and jumps. Additionally, throughout the area, there are many off-piste opportunities for the more advanced and adventurous types! Kids are equally catered for, with a specific area in Les Gets just for children skiing - Le Grande Cry. This has several runs, all themed around trappers and Indians. Weekly treasure hunts are also held within the area. Les Gets also gained the Family Plus Mountain Award, meaning childcare requirements such as creche facilities and dedicated child ski instructors are all provided within the village. Prices quoted are for booking the whole chalet for one week.